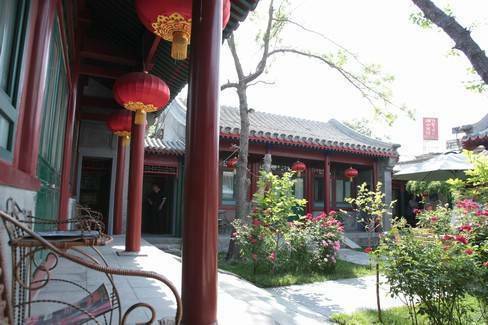 This is Beijing Courtyard Hotel has been built up base on 400 Years historic construction Si He Yuan, The said place was the former residence of famous Chinese artist Mr. Mei Lan Fang. 10 minutes walking distance from WangFuJing, the travel and commercial center of Beijing. 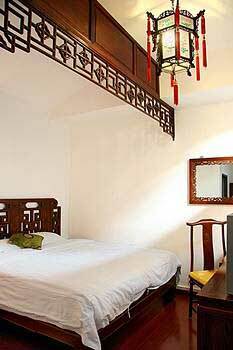 The spacious guest rooms are sharing the beautiful inner and outer courtyard and patio with each other, and decorated by the antique furniture those are carved with dragon and phoenix, the symbol of Chinese ancient nobility. Si He is designed base on the original Chinese historical construction Si He Yuan, which is used to be the home of Chinese ancient imperial royalty. 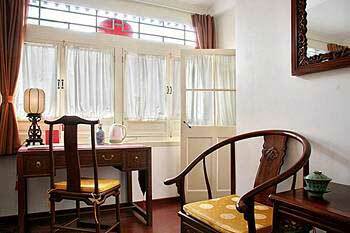 It is the only one hotel in Beijing which was built in the beginning period of Qing Dynasty. This is the representative of nature and elegance. For your convenience, the hotel is furnished with most modern facility to provide you this idyllic residence, to bring you the wonderful experience of luxury and comfort. As the major architectural form of residence of Beijing inhabitants for generations, Si He Yuan (quadrangles) of Beijing has been well-known abroad the world. Si He Yuan appeared simultaneously with the Palace, Offices, Neighborhood and passages and Hu tongs in Beijing - the capital of China since from the Yuan Dynasty. Si He Yuan is kind of the typical and traditional Chinese construction in China , unique and special. And different from the south China's construction's style, Si He Yuan have very spacious courtyard and all the rooms around the courtyard are connect with each other by the beautiful corridors, all doors and windows are facing to the courtyard so that there is the sufficient day lighting and ventilating in every room. Peace and private, the owner could have their own trees and flowers be planted, and to have birds and fish bred, rockeries and sceneries made, the dwellers can share the beauty of natures over hundreds of years. Si He Yuan is not only the kind of residence, but also the rare relic in the history of China . The VIP suite room is also the principle room of the whole quadrangles. It's located at the north side and facing the south. 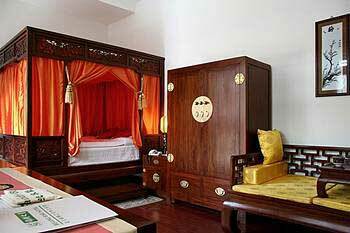 The bed-like compartment which was carved with the pattern of Peonies separates the room into three functional areas. The bedroom area is equipped with comfortable king size flower-carved bed, antique side tables, bureau, and wardrobe, Palace lanterns, together with today's modern facilities ( IDD, Cable TV, Internet Accessetc.) to provide you the luxury and convenience for your ideal trip in Beijing . The reception area (living room) is spacious and luxuriates. Displayed by the antiques and plantations on the traditional long narrow table, and hanged with the tasty couplets and painting, which is the most apt place for receiving the guests. The bath room is furnished with high class bathing facilities and decorated by the old-time small piece's grey brick wall to cater your need. The VIP room will provide you the experience of being the Very Important Guests. On the east and west side of the inner courtyard, there are two executive rooms respectively with doors open facing the courtyard, also called Xiang Fang in the old times. All rose-wood furniture including the king size antique bed and comfortable Luo Han bed ( for receiving the guests) , were carved with auspicious design, either Peonies or dragon and phoenixes, together with the gauzing veils and curtains, the traditional palace lanterns, are decorating the room into the home of Chinese imperial royalty. Furnished with today's modern facility (IDD, Broad banding Internet Access, Bathing; Cable TVetc. ), the executive room will provide you the most satisfied residence for your holiday or business trip. The Deluxe Rooms are located at the wing side and inner quarter. Connected to the principle rooms by the corridor which was carved by the design of Chinese Ru Yi on the tile-stopper, means smoothness and happiness. Same as the executive rooms, they are furnished by the antique furniture and five star facility to serve your business requirement. Quiet and spacious, luxuriate and special. 20 minutes walking distance from Tian 'anmen square. The aromatic and delicious DaDong"SuperLean" Roast Duck is prepared upon order and reqires about 70 minutes.However, we will always try out best to shorten your waiting time! 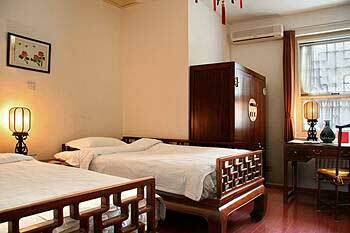 Extra bed: RMB150 per bed per night. pick up service:RMB150/car. Change or cancellation of guaranteed reservations within 6 days of arrival date will be subject to a penalty charge of one night room rate per room booked. 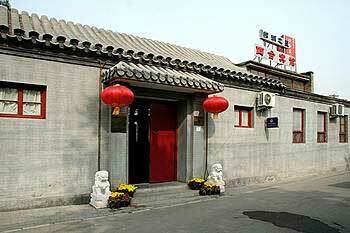 Beijing Sihe hotel is locked at the Dengcao Hutong, which is the center of Beijing. 15 minutes walking distance from WangFuJing, the travel and commercial center of Beijing. A pair of white marble lions has been standing at the two side of main entrance, watching the views and life of Beijing city. 50 mins' drive to airport. 30 mins' walk to Tian'anmen Square, Qianmen Business center and Forbidden City. 15 mins' walk to Wang Fu Jing. Nearest airport: 40 mins' drive to airport.